A modern and substantial family home set within Epsom's premier location adjacent to the RAC Golf and Country Club. Ridgegate View is arranged over three floors and offers living and bedroom space totalling approximately 6900 sq.ft. A modern and substantial family home set within Epsom's premier location adjacent to the RAC Golf and Country Club. Ridgegate View is arranged over three floors and offers living and bedroom space totalling approximately 6900 sq.ft. Plot approx. 0.5 of an acre. A stunning, impressive and substantial 5 bedroom family home, situated on the southern fringes of Epsom town and the famous Epsom Downs. This property has a well thought out blend of both living and bedroom space totalling approximately 3250 sq.ft. EQUESTRIAN - Gasston Stables has been owned and operated as a family business for the last seven years. The land boasts post and rail grazing paddocks extending to 26 acres, with a further 28 acres of woodland incorporating quality equestrian facilities. A deceptively spacious five bedroom family home with an abundance of character having living and bedroom space of approximately 2730 Sq/Ft. Set in an elevated position, it backs directly onto the RAC Golf and Country Club with stunning views across the course. An impressive detached residence, the property provides very spacious and beautifully presented living and bedroom space, boldly combining Art Deco and contemporary styles. An imposing and impressive five bedroom family home situated within a convenient location with easy access to Epsom town centre, mainline railway station and a selection of well regarded local schools. This substantial detached property offers a wealth of spacious accommodation providing superb family and entertaining space. The ground floor boasts four excellent reception rooms, including a snug sitting room with open fireplace, ideal for winter evenings. A substantial family home situated on the fringes of Noble Park and Horton Country Park that has been finished to an excellent standard with a modern and contemporary style throughout. This beautiful modern five bedroom family home is situated in the sought after Chase Estate set in a gated quiet and private cul-de-sac. Excellent decorative order, garden is ideal for a growing family, sought after location. An impressive and substantial family home situated on the Clarendon Park development and having the benefit of being in a private and discreet position. This property has a well thought-out arrangement of living and bedroom space totalling circa 3100 sq.ft. A detached four bedroom, three reception room, Edwardian family house with beautiful extensive gardens and conveniently situated for the town, mainline railway station and local amenities. PREMIUM SPECIFICATION...A one off opportunity to purchase the only Oxshott at Sycamore Gardens, a stunning four bedroom detached house with double garage and private driveway! A superb and historic example of one of the few remaining coach houses in Surrey, situated at the end of a quiet, discreet bridleway to the south side of Epsom. Saddlers offers a well-designed blend of living and bedroom space totalling approximately 2,800 sq.ft. A stunning four double bedroom detached family home with a south west facing rear garden situated in a prime position at Sycamore Gardens. Ready to move into and can be viewed today! Please call us on 0208 393 0977 to arrange your appointment! Four bedroom link-detached family home! 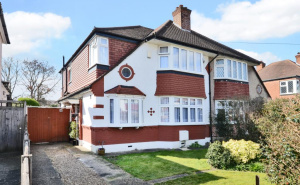 This beautifully presented four bedroom family home, built approximately 25 years ago, is situated on a quiet sought-after residential road within very easy access to Rosebery Park, Epsom town centre, the mainline railway station and well regarded local schools. A stunning four double bedroom detached house featuring integral garage and driveway with two private parking spaces located in the popular Sycamore Gardens. Assisted move available on selected plots! Stunning four bedroom DETACHED house situated in a PRIME POSITION at Sycamore Gardens with a show stopping open planned kitchen diner, four DOUBLE bedrooms and an integral GARAGE. A charming and characterful four bedroom, three reception room family home which is situated within a convenient position for Epsom mainline railway station and town centre also within access to the well regarded College area and local schools. LUXURIOUS four double bedroom family home completed to a premium specification with under floor heating, fully integrated kitchen, bi-folding doors and electric garage. PERFECT FAMILY HOME!! Fantastic five bedroom detached house located within walking distance of Epsom Town Centre and Train Station with direct links into Central London. A well presented and deceptively spacious period property with 4 bedrooms, 2 bathrooms, 3 reception rooms, built over 3 floors, situated equidistant to both Ewell Village and Epsom town centre and mainline train station. A superbly presented bungalow situated with access to Ewell, Epsom and Cheam town centres with their local amenities and mainline railway stations. Having living and bedroom space that is approaching 2,000 sq.ft. Incredible Four Bedroom, Three Bathroom Family Home. A three bedroom period property, spacious, well presented and within close proximity to the town centre, amenities and mainline railway station. Call Barnard Marcus Epsom on 01372 740 911 to book your viewing! A stunning four bedroom semi detached bungalow in a desirable residential area of Epsom approx 0.8 miles to Epsom town centre with a driveway. 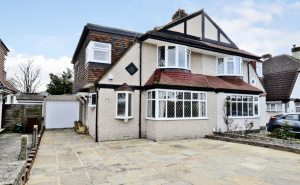 Stunning 4 Bedroom Semi-detached Family Home. A semi detached period property which is conveniently situated for both Epsom town centre and Ewell Village. The property boasts generous living and bedroom space and would benefit from refurbishment and/or extending STPP. A delightful detached family property situated on the southern fringes of Epsom offering access to the town centre and the Epsom Downs. Being offered with no on-going chain and vacant possession. A beautiful three bedroom end of terrace Victorian cottage set on a sought after road just a stroll from the town centre and mainline railway station with beautiful bi-folding doors that open out onto the rear garden. In the heart of Langley Village with the rolling Epsom Downs as a picturesque back drop. This chalet bungalow provides modern, spacious accommodation with flexible use and is offered with no onward chain.